I remember the first time I went to an international gyaru meet; I went with my gal Chewiee and honestly it was one of my favourite gyaru meets ever. That’s not to say that it was a completely smooth process – about half an hour before we met everyone I had a panic attack in our hotel room. I was just getting so worked up about meeting everyone and fearing that they wouldn’t like me! But it turned out that I didn’t have to worry after all as I had the most amazing time and everyone was so lovely. 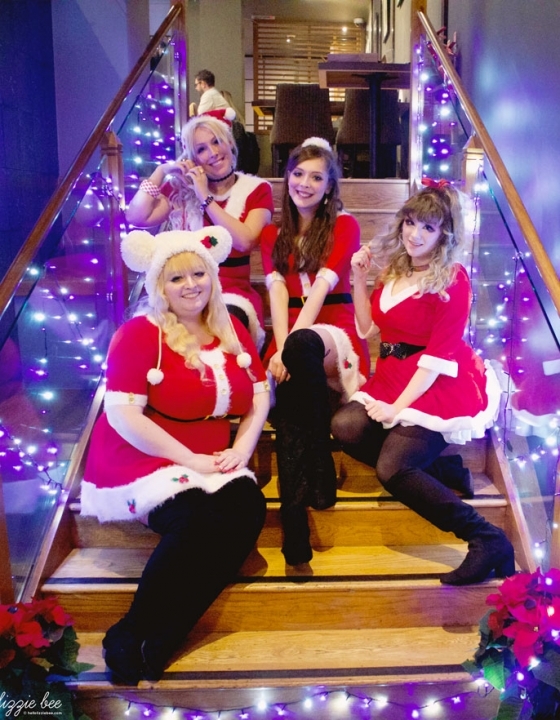 Fast forward to now – my gyarusa QueenE have recently announced our big international gyaru meetup, Gyaru Jubilee, that’s happening over here in the U.K. and we’re SO excited for it! 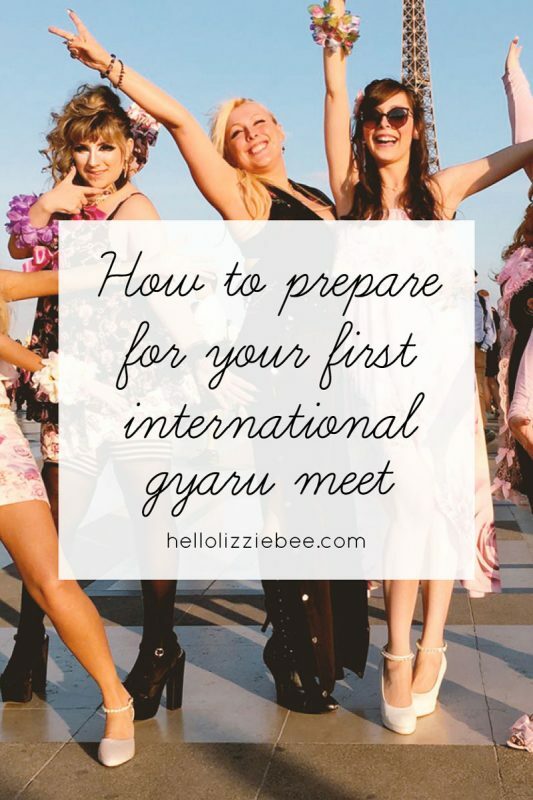 We’ve decided to put together a lil’ list of advice for first-timers because going to your first international gyaru meet can be a bit daunting, especially if you’re a newbie. Ask them questions like where the venue will be and what hotels they’d recommend, as it’s good to try and stay somewhere near to the venue especially if you’re unfamiliar with the surroundings. This will also help you figure out what airport to go to and what public transport to take and how long it’ll take you to get there. Going to your first international gyaru meet is both exciting and somewhat scary, and doing it solo? Even more so, so I would always recommend travelling with one of your gyaru friends or at least share a hotel with someone you know. I’m a bit of a scaredy cat when it comes to travel as I get stressed/panicky pretty easily, and I was so glad that I had Chewiee with me. This was a bit of a nightmare for me for the Paris gal meet because I didn’t really know where I was going until a few weeks or so beforehand, and so I just had to wing it. Luckily the hosts knew the general area of the meet and I managed to pick a hotel that nearby. Google Maps was a huge friend of mine for the gyaru meet in Paris, as I was able to figure out what routes to take and how long it’ll be to get from the airport to the hotel, then the hotel to where we’re meeting up. I’d also screenshot everything so that if your data runs low or you don’t have WiFi, then at least you know where you’re going. I spent the first morning of my second international gyaru meet trawling through local shops in the middle of Frankfurt trying to find Cold & Flu medicine because, lo and behold, I was ill. It was absolutely awful and I wished I brought some beforehand! And then I forgot to bring a pair of flats to the international gyaru meet in Paris and it was the biggest mistake I’ve ever made. Luckily my circle sister Danielle had some with her that I could borrow, because I would have had to be carried. My portable charger was also one of the most important things I had with me during gal meets, because you never know just how many photos you’ll be taking and how quickly your battery will run out. And, of course, don’t forget your plug converters to charge everything and for curling your hair! This especially applies for those who are doing hand luggage only and you can’t bring things like sun cream, hairspray or liquids (or at least only able to have a very limited amount). You can probably get these as soon as you pass security, especially if you’re in the U.K. as there’s always a Boots store at the airport. related posts: gyaru on holiday – travel tips! I am awful when it comes to parapara and I cannot tell you how gutted I was to not be able to join in on the parapara workshop. I did try at the very beginning, but the more mistakes I made the more flustered I became so I just sat on the side and watched. Even if you don’t do parapara, make sure you learn the easiest ones (especially ones like Night of Fire) so you’ll at least know the basics. This makes me sound like an old lady but always check the weather forecast before you travel. Sure, being fashionable is amazing, but comfy and fashionable is even more so. One of the most exciting things about international gyaru meets is that you get the chance to meet gals you never thought you’d meet in real life, so quickly have a look at all of their profiles to see if they’re going. I’m really bad with faces so I always do this so that I can recognise people when I see them. You’re most likely going to be partying on Saturday, and even if you aren’t, bring a cosy outfit for Sunday. I am always bare-faced on the Sunday because that’s usually the day I need to go catch my flight back home, and the last thing on my mind is having to get up early to do my makeup and wear clothes that are uncomfortable. Face masks work wonders, too, so bring them along if you fancy it! There’s nothing worse than trying to take a group photo only to discover that you don’t have any storage left! So make sure you either have a blank memory card or you’ve cleared your phone beforehand. 12. And most importantly… Try to have fun! 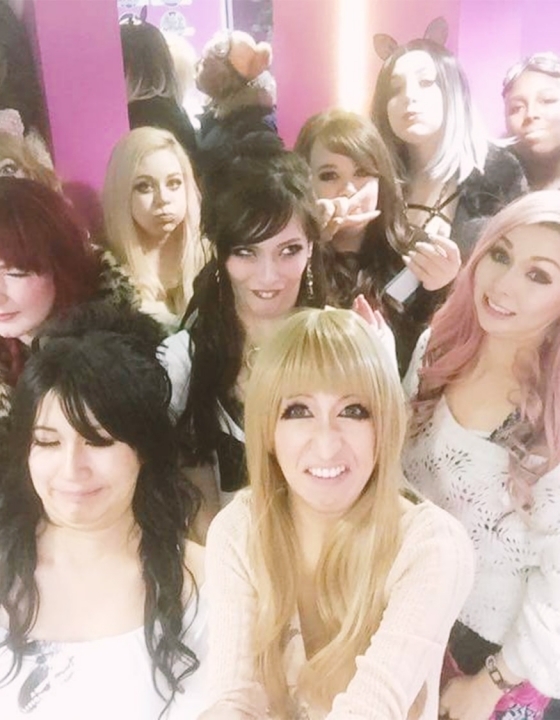 If all else fails and you’ve forgotten your lash glue then just remember that a) you’re there to have fun and meet up with other gyaru and b) someone else will most likely have that thing you’re missing. That’s all for now! Let me know if there’s anything else you’re stuck on in the comments below. What advice would you give for a first-timer? Great tips Lizzie =) Oh my gosh all your photos are so cute! The best traveling tip I ever heard was to take just one plug adapter and a UK extension lead, the ones with 4 sockets on them. Then you can charge 4 things but only need one plug adapter! Thank you so much! And thank you so much for the advice – I’m fed up of carrying so many adapters so I need to look out for that next time! 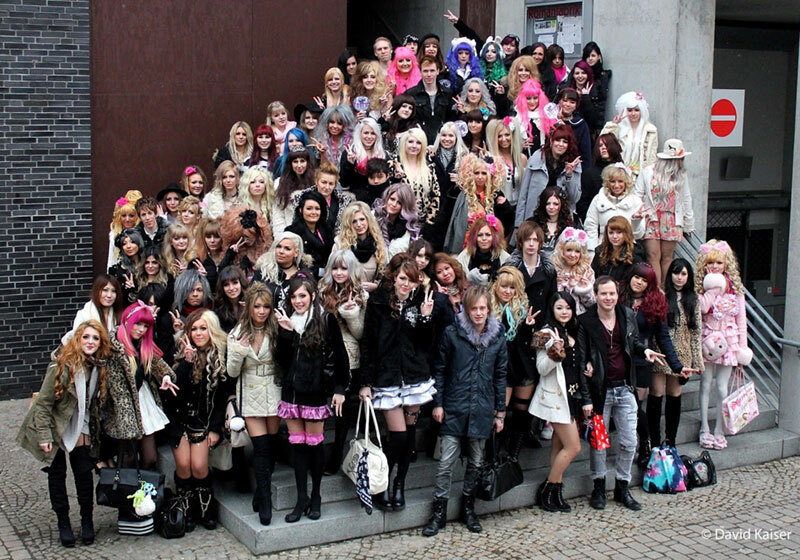 Haha yes, there are a lot of us gaijin gyaru out there! Thank you so much, and I’m glad that I’m not the only one! These are some great tips – for any kind of travelling, let alone something specific. It looks like you had an amazing time! Love this post! I hope all going has a wonderful time! Unfortunately, there are too many things that prevent me from going but I can’t wait to see all the posts and videos from it! Awh that’s a shame, I would’ve loved to have met you! But yes I’ll take lots of pics and videos!